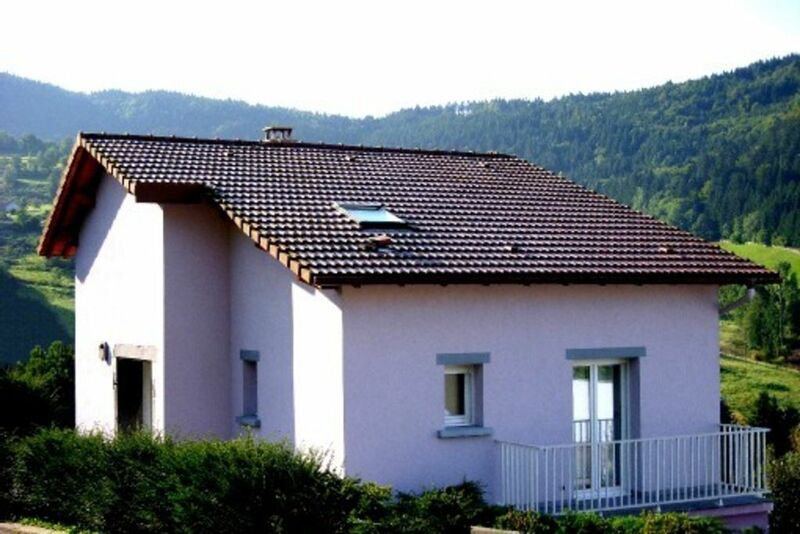 Charm and comfort close to the major centers of interest of the Hautes-Vosges. The location "At the foot of Top of the Rock" is an old stone farmhouse discount, classified 3 stars, fully renovated, which can accommodate from 4 to 6 people. Its strengths are its comfort, its equipment, its elegant decoration emphasizing the authenticity of the place, its calm and its ideal location. Nothing like a good evening quietly by the fireplace after a hike or a day of skiing. You will be warmly welcomed with the concern that your stay is successful. In the heart of the Regional Natural Park of Ballons des Vosges, it offers an exceptional view of the top of the Top of the Rock. The low altitude of the house (620 m) is an asset: the access is easily plowed and practice any activity is possible even in winter (hiking and mountain biking in winter, for example if it has not snowed Medium altitude). Golf: The Golf d'Epinal is 40 km and that of Luxeuil 45 km. Ski: Villa Au Pied du Haut du Roc is ideally situated between the two main ski areas of the Vosges that are Gerardmer and La Bresse Hohneck (less than 15 min each). The cross-country ski area of ​​Charmes chalet is 5 km. Luge is practiced on site.